Spears first announced the new bathrooms on September 1. In an act of vandalism, signs promoting gender inclusivity were ripped off of bathroom doors in the Paramount Center. Damage to the signs was first reported early last week to Sylvia Spears, vice president for diversity and inclusion. 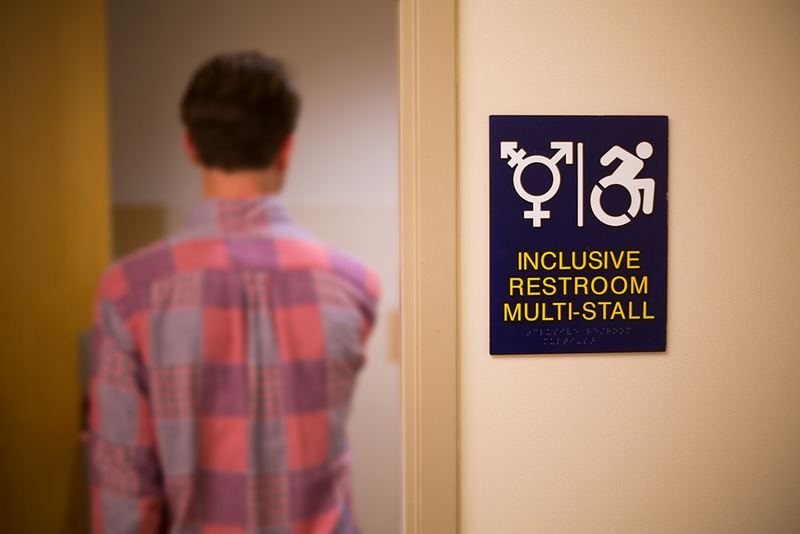 Emerson introduced gender inclusive bathrooms at the beginning of the semester. The new signs were implemented so that students could comfortably use the bathroom that they feel is right for them. “I take [the vandalism] as an indication that somebody on our campus, or somebodies, are either upset or have issues with the fact that Emerson embraces gender diversity,” Spears said. Spears said the theft of the signs was the only vandalism that has occurred in the bathrooms. Freshman Jessica Makower, a resident at Paramount, said she was shocked by the act of vandalism. Spears said she thinks the motives of the wrongdoing lay in the goals of the inclusive bathrooms.